1) Small town feel with big city amenities - Columbus has grown to a size that supports the theatre and world class shows like we have at the River Center or the Springer. We have minor leagues sports along with great restaurants and shopping. We really have all the amenities of a big city but you can drive all the way across the city in about 30 minutes. We think this is a perfect size. 2) Location, Location, Location - We are about 1 hour from Atlanta Airport or 1 and 1/2 hrs from downtown Atlanta and all that has to offer. 3 and 1/2 hours from the beach. 2 and 1/2 hours from the mountains of North Georgia and 5 minutes from the river. There is a lot to do and see close by. 3) Industry Growth - It always seems good to be in a place where things are on the upswing. We are in a phase of growth in our area. AFLAC is strong and in the process of adding 2000 employees, the KIA plant is locating in nearby La Grange and we are receiving spin off growth. 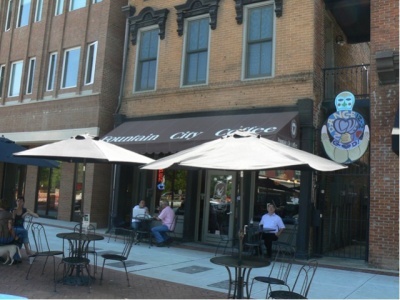 Columbus State College is expanding and helping to revitalize the downtown area. Also we are one of the beneficiaries of the BRAC military realignment. All these things have created a really positive atmosphere in our area right now. 4) Sports - We have SEC football here which is a bonus in itself as we are only 45 minutes from Auburn and almost evenly divided between Auburn Fans and Georgia Fans. Along with these 2 we have a strong contingent of Alabama fans, Georgia Tech fans, Florida fans, and Florida State fans so you have to choose a side quick to live here. We have minor league sports including baseball, hockey, basketball, and arena football. We were host to the Olympic Softball and it is big in our area along with youth soccer and baseball. We had the little league World Series Champs on 2006. Of course youth football thrives as well not to mention our redneck contingent of Nascar fans (me being one of them). 5) Callaway Gardens - 13,000 acre resort and gardens - Is one of the most beautiful places I know and we are so lucky to have it nearby with all it has to offer. Combined with Roosevelt State Park (largest state park in Georgia) Callaway is a must see and something to enjoy year round while you live here. If you look you will see other posts about this on my blog. 6) Fort Benning - If you are a Veteran then access to one of the largest military installations in the world is priceless not to mention the infantry museum and the other military families living in our area to hang out with. 7) Colleges - Columbus State College is rapidly expanding into the downtown area as well as main location in the central part of Columbus. The college offers a lot of adult education as well as just fun education to expand your horizons or try new things. Troy St and Chattahoochee Valley Community are just across the river. Auburn is only 45 miles away. We have a lot to offer from the colleges. 8) Historic Downtown - Columbus has had the wisdom to preserve a large portion of the historic downtown as well as the brick mills and office buildings are in conversion to modern conveniences while preserving the historic feel. It is relaxing in the downtown area. We love it! 9) River - The Chattahoochee river offers a lot of fun. We have numerous lakes to fish and ski on. A 14 mile Riverwalk to enjoy and soon we will have whitewater rafting downtown. A lot of fun for a little money! 10 ) Southern Hospitality - I put this last but it is certainly not least! Nice article, this is very useful for everyone. I hope many will noticed this blog.